Robot Mode: Ironhide’s transformation is easier than that of Sentinel Prime or Optimus, but still somewhat headache-inducing at first. The transformation contains elements from the Movie Voyager, DOTM Voyager and HFTD Deluxe Ironhide. Nicely done. I’d have preferred it if the unification of the molds would have included the arms of the Deluxe, the legs of the DOTM Voyager, and the twisting torso of the Movie Voyager. No dice, though. Coming out of the box, this thing is a very nice-looking brick, about as posable as a plank of wood. No fun poses to be found. Why, you ask? Simple: because someone had the bright idea to actually glue on Ironhide’s head. Who came up with that? Just because they’re afraid that some idiot brat, who is stupid enough to try and jump into the TV because he saw it in a commercial (this actually happened here in Germany recently), would try and pull off the head, thereby exposing the wires (which are fixed in place, hilariously, by a Secu-plug from a PC) and possibly receiving a fully non-lethal and barely noticeable three Volt (!!!) electric shock. Man, this kind of stupidity smarts. Solution: Take a sharp, solid knife, cut and lift on both sides of the head, done! Now the fun can begin. Me, I also removed the spring from Ironhide’s head (that one’s not for beginners, though) in order to permanently show his nicely sculpted face. Now his posability is actually fun. Ironhide’s always slightly pissed-off expression, combined with his great look and the cool weapons (which are too small, btw), look just great. Okay, he’s vastly out-of-scale, but drop dead gorgeous, too. The hidden weapons in the legs are very cool, too (okay, that handgun with the missile is fully superfluous, but the knife is great and will make Crocodile Dundee green with envy). I hope the knife will make an appearance in the movie. Downsides: Completely immobile hands. In this price class I expect better. Gimmicks: Behold the marvel: a Mechtech figure without Mechtech. No joke. Okay, Sentinel Prime didn’t have a proper Mechtech weapon, either, but at least his was interchangeable with other toys of the series. Here? Not so much. Maybe the knife and the little squirt gun, but those don’t look too good on other figures, either. Also, Ironhide has that huge railgun in his belly, which doesn’t just look bad, it really is, too. It jams a lot. Great, isn’t it? In terms of sounds we have cool engine sounds and the stupid railgun makes noise, too. Conclusion: A great figure! 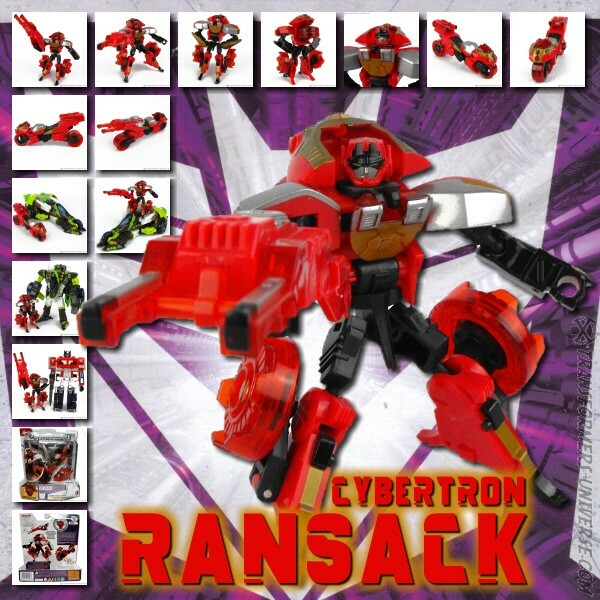 Perfect for completists and Ironhide fanatics. Those fans who keep saying Ironhide should be red, let me tell you this: The first Ironhide (in the Diaclone days) was black, too. And Ratchet started out green, btw. So stop whining and buy this thing!